I am excited about getting to spend a lot of time with the kids; I have all sorts of activities planned, as well as plenty of family time. I'm also looking forward to a bit of a rest, and maybe a little extra sleep! This year has been a rather busy one, and I really enjoyed switching off all the alarms on my phone yesterday! The holidays do mean that I'm not going to have as much time to work on knitting work, so for the past week I have been trying to get on top of things, making sure I have some patterns ready to have samples knitted, and a couple of test knits in my Ravelry group so that the tests can get underway before I get too busy. The blog will take a bit of a back seat until September, I will try and check in at least weekly for Yarning Along, and may manage some other posts here and there, but it might be a bit quiet round here. While I'm away I will be working on several new patterns, so am hoping to return energised at the start of September. 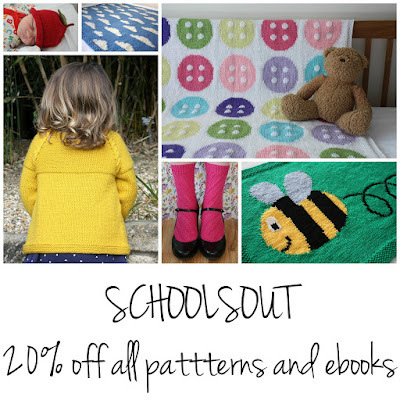 To celebrate the arrival of the school holidays, I am having a little sale in my Ravelry store. 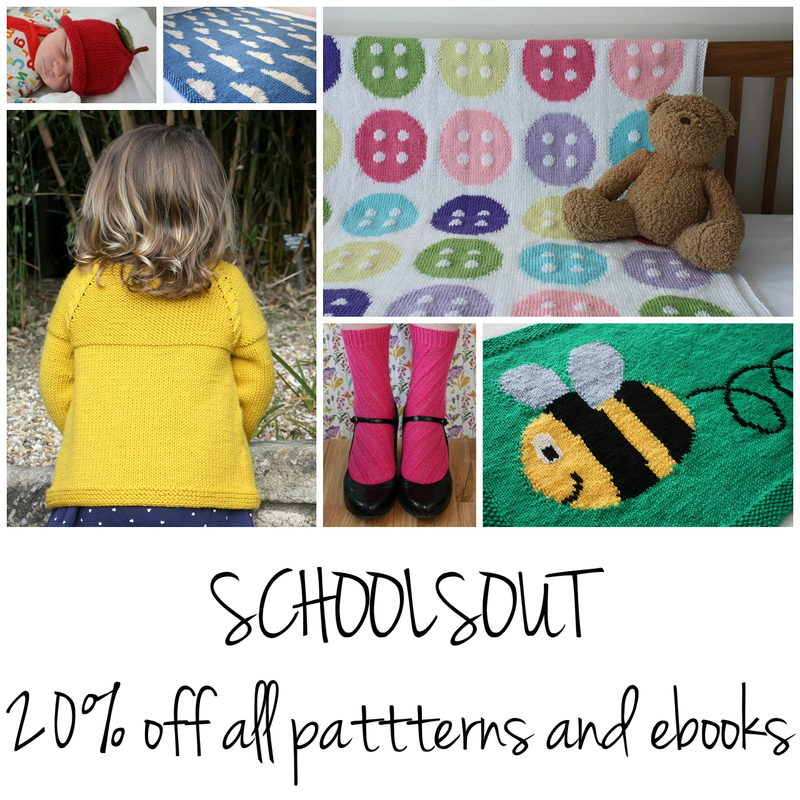 For the next week you can get 20% off any of my patterns using the code SCHOOLSOUT. * Hope you find something you love. *The code is valid on patterns purchased from my Ravelry store until 11.59 pm BST, Monday 31st July 2017. The code can be used as many times as you like, so this is an excellent opportunity to stock up. The code is valid on all individual patterns, and the Knit Night Collection and Reach for the Stars ebooks.